AUSTRALIA’S #1 TRIM AND TILT UNITS AND JACK PLATES. Ring 0409 910 808 for local sales,backup and free advice. Love boating and fishing in your tinnie ….BUT…. Your arms are not as strong as they used to be? Can’t get back to the outboard fast enough when coming into shore? Need to trim up slightly in shallow water? Want to trim on the fly? Love your old outboard, but can’t buy trim and tilt parts anymore? We can help you out…. Need better handling and finer tuning on your speed boat or cruiser? 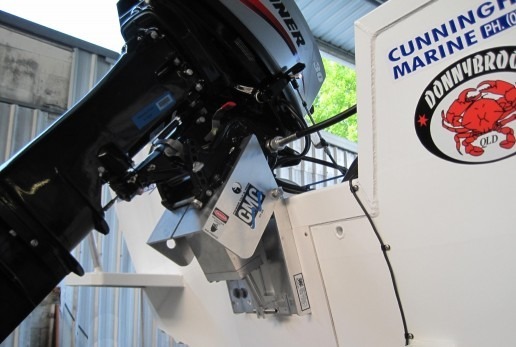 Equip your boat with one of our jack plates or trim and tilt units. Buy …”online”… or simply by giving us a ring. Our superior quality and competitive pricing make CMC Jack Plates, and CMC Trim and Tilt units, #1 selling systems in the world! 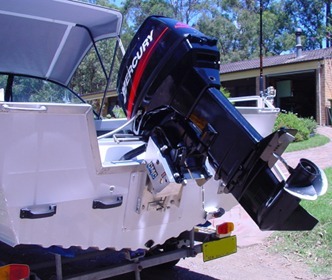 Any type of boat, be it tinny or a large cruiser, will benefit from the ability to fine tune the position of your outboard motor to suit your cruising conditions. Click on our Products at the top of this page to see our range of transom units that will enhance the performance and assist in the operation of your boat. We also carry a range of ATLAS jack Plates, capable of handling the new 400hp 4 stroke outboards , right down to the Micro Jacker, which a 50/60 hp outboard will bolt on to, just the right size for your tinny. These products have been fitted to dinghy’s, cruisers and cats, with amazing results in performance and customer satisfaction.